London, UK - December 16, 2010 - The UK Government today announced that Andrew Witty has been appointed as the Lead Non-Executive Board Member for the Department for Business, Innovation and Skills. The UK Government today announced that Andrew Witty has been appointed as the Lead Non-Executive Board Member for the Department for Business, Innovation and Skills (BIS). This appointment forms part of a wider announcement by the Government to create Boards for each Department, including representation from the commercial private sector. These Departmental Boards will offer strategic and operational advice to Government Departments as they implement their business plans and objectives. Policy will continue to be decided by Ministers with advice from Civil Servants. Andrew has declined to be paid for this part-time role and will take up his position from 1 January 2011. The BIS Departmental Board will meet formally approximately every 8 weeks. To avoid any potential for conflict of interest, Andrew will not see papers or be involved in discussions relating to pharmaceutical issues. Andrew’s decision to accept this appointment reflects GSK’s policy of contributing to and actively engaging in dialogue with whichever Government is in power on issues that affect the business environment in which the company operates. For example, Andrew served on former Prime Minister Gordon Brown’s Business Council when the Labour Party was in Government. He also serves on Prime Minister David Cameron’s Business Advisory Group alongside other senior business figures. This release may not have been issued in every market in which GSK operates. The Department for Business, Innovation and Skills (BIS) is the new government department formed by merging the Department for Business, Enterprise and Regulatory Reform (BERR) and the Department for Innovation, Universities and Skills (DIUS). BIS has responsibility for enterprise, business relations, regional development and fair markets, along with responsibility for science and innovation, further and higher education and skills. The Department for Business, Innovation and Skills (BIS) is building a dynamic and competitive UK economy by: creating the conditions for business success; promoting innovation, enterprise and science; and giving everyone the skills and opportunities to succeed. To achieve this it will foster world-class universities and promote an open global economy. BIS - Investing in our future. The Department for Business, Innovation and Skills (BIS) has an important role at the heart of government as the ‘department for growth’. That's why BIS is leading work across government to develop a more balanced and sustainable model for growth. The path to strong, sustainable and balanced growth sets out progress on creating the right framework for growth and announces a growth review. British business can’t prosper while the risk of a debt crisis hangs over the economy. Striking the right balance between making savings and promoting sustainable growth is crucial. This is not just about cuts, but about creating a stable environment that enables businesses to invest and grow with confidence. We aim to create an enterprise culture where everyone with talent is inspired to turn ideas into successful enterprises and get rid of unnecessary barriers that can stifle growth. • promoting free and open markets. The Government, led by BIS, wants to rebalance the economy. This means moving away from an economy reliant on debt to a sustainable one that is greener and more technologically advanced. And it means creating opportunities which are spread more across the regions, and through those sectors where the UK is strong and can add real value. In a world where there is less money, the role of the state needs to change to get a smarter balance of public and private investment in the economy. We will refocus public spending on those areas where it has the greatest impact on growth and make sure that wider Government policy protects and supports the business environment. 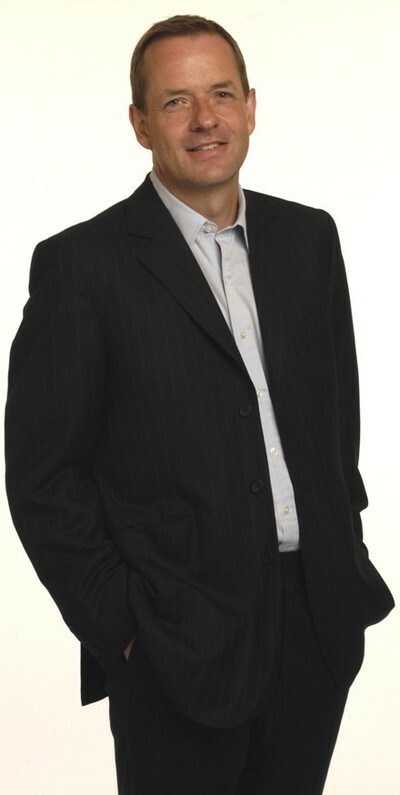 Andrew Witty assumed the position of Chief Executive Officer on 21 May 2008. He is a member of the Board and Corporate Executive Team and previously held the role of President, Pharmaceuticals Europe. Andrew joined Glaxo in 1985 and held a variety of roles in the UK business. He was a Sales Representative for the Respiratory business, held a variety of Marketing roles and was Director of Pharmacy and Distribution. In 1993, Andrew was appointed Managing Director of Glaxo South Africa and later Area Director for GlaxoWellcome, South and East Africa. Subsequently he moved to North Carolina as Vice President and General Manager, Marketing for GlaxoWellcome Inc., the group’s US subsidiary. Andrew then moved to Singapore and led the Group’s operations in Asia as Senior Vice President, Asia Pacific prior to his appointment to the Corporate Executive Team as President of GSK Europe in 2003. Andrew has served in numerous advisory roles to Governments around the world including South Africa, Singapore, Guangzhou China and the UK. Andrew is President of the EFPIA, a position he took up on 1 January 2010. GlaxoSmithKline partnerem "Koalicji na rzecz odpowiedzialnego biznesu"